If you've got stainless steel appliances, you undoubtedly have fingerprints, streaks, smudges, and spots that you need an easy, earth-friendly way to clean. Don't despair! Many green products are free of harmful ingredients, such as silicones, aerosols, and petroleum-derived ingredients, which will still bring your stainless steel back to a nice, brilliant shine! 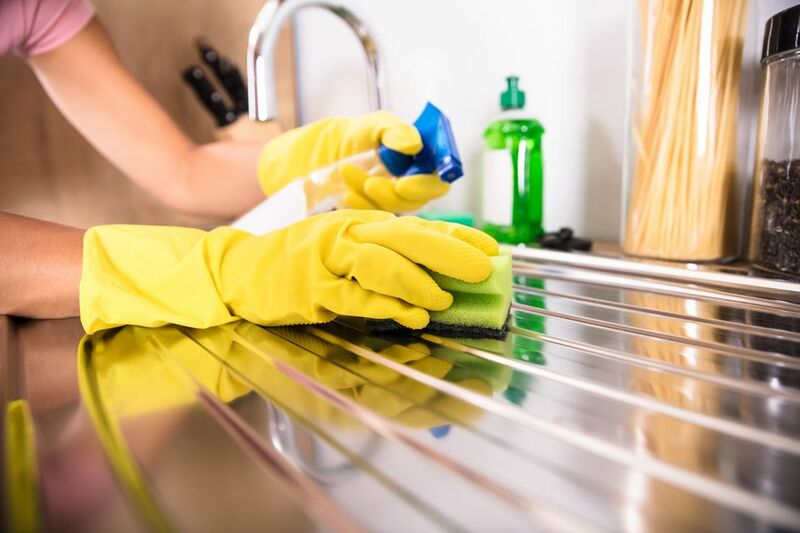 Some green cleaning products are specifically formulated for stainless steel, and others work great on stainless and other surfaces, too. So, look beyond the name on the label and give one of them a try! They'll make your stainless steel appliances, whether it's the fridge or the trashcan, look as good as the day you bought them! 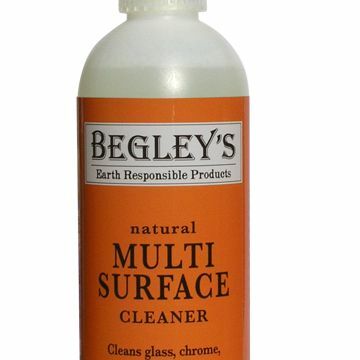 Leave it to Ed Begley, Jr., actor, author, and pioneering environmentalist, for putting together this natural cleaner containing an uplifting medley of aromatherapeutic essential oils and other plant-based, sustainable ingredients that make cleaning stainless steel and other surfaces in your home, such as glass and chrome, an environmentally friendly experience! Make your cleaning routine easier—and your life a little better—with this über eco-friendly cleaner scented with soothing lavender and chamomile essential oils. Use it on stainless steel, chrome, nickel, titanium, and other metal surfaces, too. Available in two sizes, including a large, 5-gallon industrial container for you serious cleaners out there! Tread lightly on the earth with this versatile metal cleaner, which contains soy-based solvents and plant-based cleaners. It's not only great for cleaning, polishing, and protecting stainless steel, but it's useful for aluminum, brass, chrome, copper, zinc, silver and most other metals, too. Plus, it's certified by the U.S. EPA's "Design for the Environment Program." Get some help from Eco-Me, with cleaning your stainless steel in an environmentally friendly way. Simply spray this completely all-natural cleaner, which is Leaping Bunny certified and PETA-approved, onto stainless steel surfaces and buff dry with a microfiber cloth. It not only cleans and polishes but disinfects, too! Get your stainless steel cleaning methodology down to a science with Method's non-abrasive, stainless steel cleaner. It has a fresh, albeit part-synthetic, apple orchard scent, and promises to polish surfaces without streaking. Also, it leaves a protective layer on your stainless steel to cut down on future cleaning. Zoom through cleaning all your stainless steel appliances with the fresh tea tree-citrus scent of this all-purpose, green cleaner! It's also great for cleaning anything from your floors to your kitchen counters. Feel good knowing that you are buying from a company that supports causes related to fighting breast cancer and helping animals.